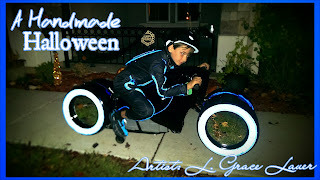 Uniquely Grace: Tron & Lightcycle - Handmade Halloween Costume Video inclueded. 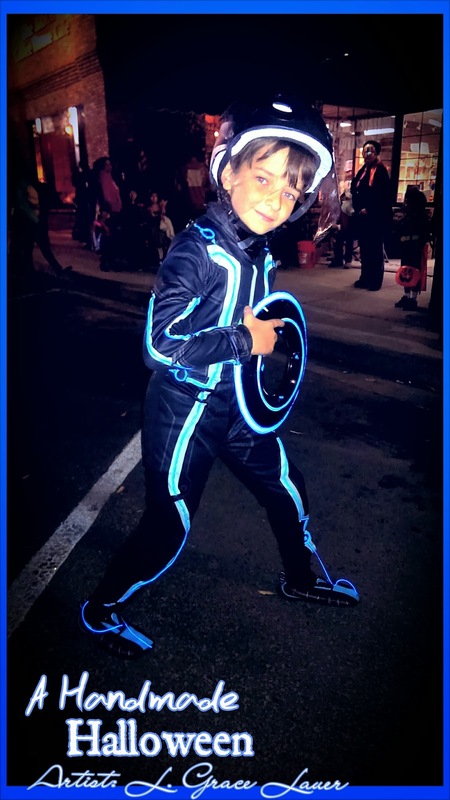 Tron & Lightcycle - Handmade Halloween Costume Video inclueded. 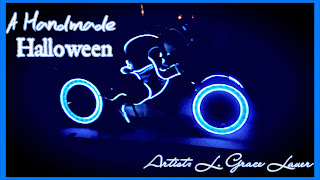 Good morning everyone I am sharing another Handmade Halloween costume and prop today. 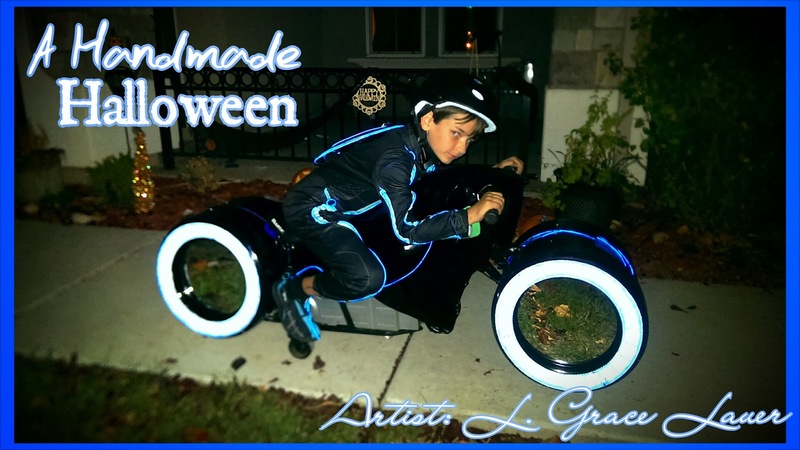 This was build/designed for my son Tristan. 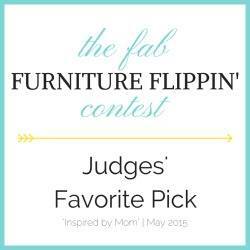 It was a huge hit this year and we were ever so thrilled. 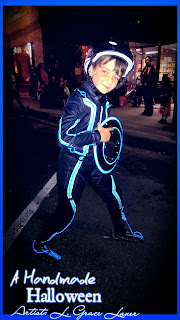 He was a program from Tron with a riding lightcycle. 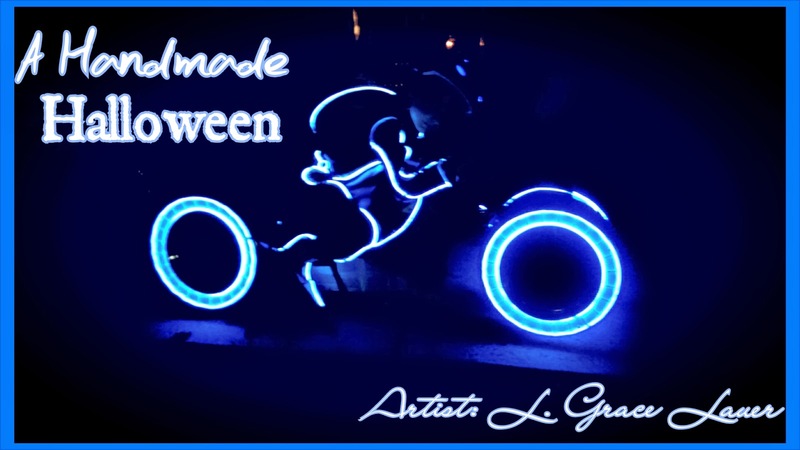 All lit up and ready to roll. Thanks to some help from my neighbors on the welding side of things.